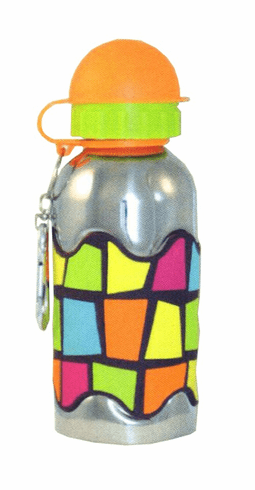 This stainless steel water bottle is a perfect match for little hands. Made of sturdy stainless steel with bright, eye catching designs, these bottles are as delightful as they are useful. Bottles hold roughly 12 ounces of liquid and are BPA free.